Studies say that having a perfect set of teeth not only increases the beauty of your smile, but also boosts your confidence and self-worth considerably, making you more probable to succeed in life. However, this might come as a saddening piece of fact for those who face problems regarding their teeth, including cavities, missing teeth due to natural factors or prior accidents, and other such diseases that affect their dental health. For them, modern medicine has now brought to the forefront the choice and procedure to fix what has been broken or damaged, and get that perfect set of teeth which they have wanted all this while. Especially in Mumbai, where professional life is fast paced and aggressive in its ambition, a set of perfect teeth plays an important role in redeeming your lost self-confidence, and enabling you to do well in your field of work and social interaction. Dental implants in Mumbai have become a rage among all those who face problems with their teeth, since its very inception. The idea of dental implants is very similar to the dentures available in the past, which basically consist of a synthetic version of teeth similar to the ones you have lost, fitted in substitution of your original ones. As dental implants in Mulund suggest with their success in sales, dentures have now given way to the new player in market, dental implants. 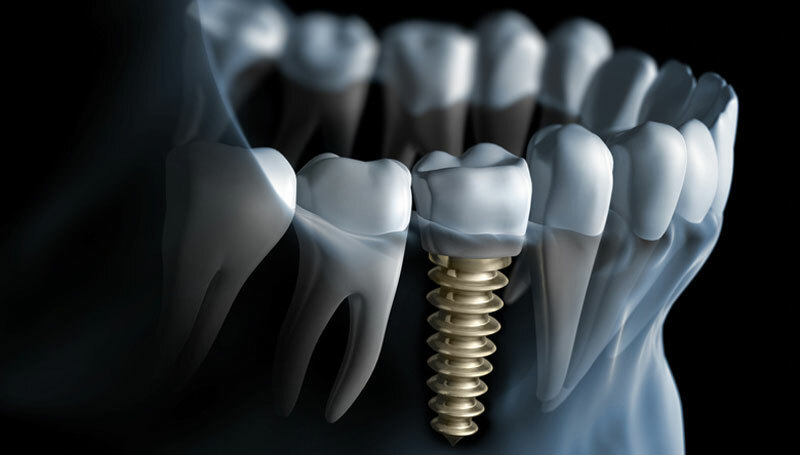 Dental implants are more permanent solution to the problems of missing teeth, as they don’t need to be taken out, or don’t run the risk of falling out and getting lost. Dental implants in Mumbai have been known to be similar to original teeth, which once put in, will give you the same chewing and eating abilities as your original teeth, and won’t come off or get loose with time. Dental implants in Mumbai are also making ripples in terms of customer satisfaction as with their affectivity and affordable prices, they are basically the next best thing to your lost teeth. However, some scepticism still remains amongst first time users of dental implants in Mulund, as the previous perception of implants being more complicated to use than dentures still stays in their minds. Dentists who are working with dental implants in Mulund however assure that these dental implants are absolutely easy to work with, and they require no special care than the regular care you take for your teeth. Also they are safer to use as dentures run the risk of coming off loose after a few years and often can be fatal if mistakenly ingested. They are considered as a poorer substitute for chewing, as newer dental implants can chew with a much increased ease. Rare complications in the process of surgery might still persist, but the chances of these cases are minimal.